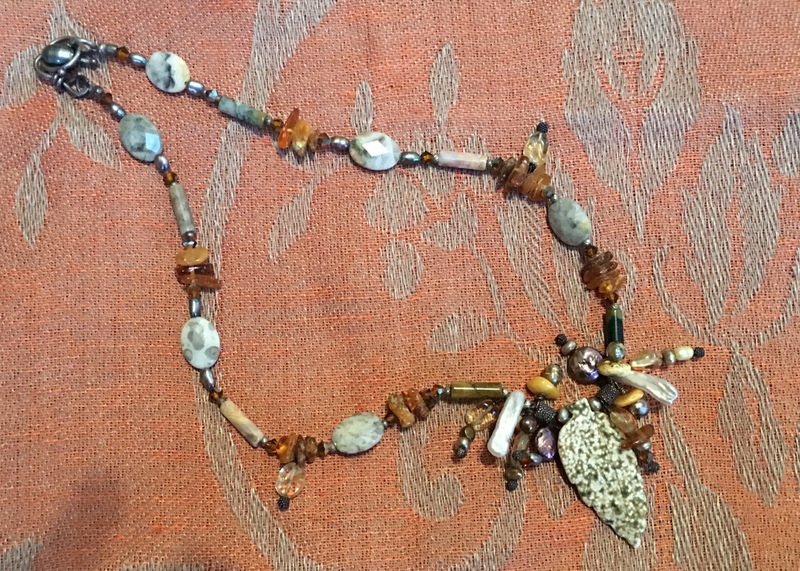 A speckled jasper leaf grows out among textured branches of citrine, pearls, amber, tiger eye and crystal in a necklace subtle enough for daytime wearing. Sterling silver and pearl hook clasp. Perfect for a smaller neck.